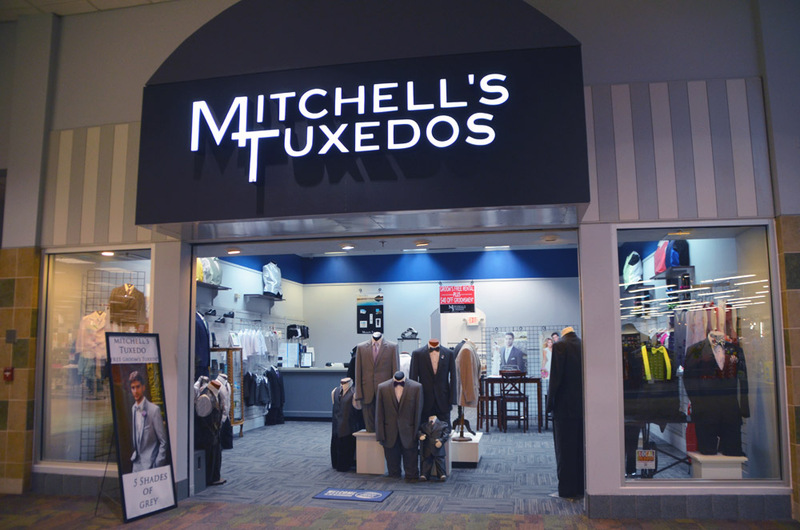 Mitchell’s Tuxedos is a small shop tucked in the back corner of the Asheville Mall, where they have been serving customers for over 35 years. A family owned business, this local enterprise is one of three storefronts in the mall that are not part of a big box retailer. Owner Kathy Beatty realizes that bigger is not better when it comes to providing customer service and that personal touch that clients crave for their important day. 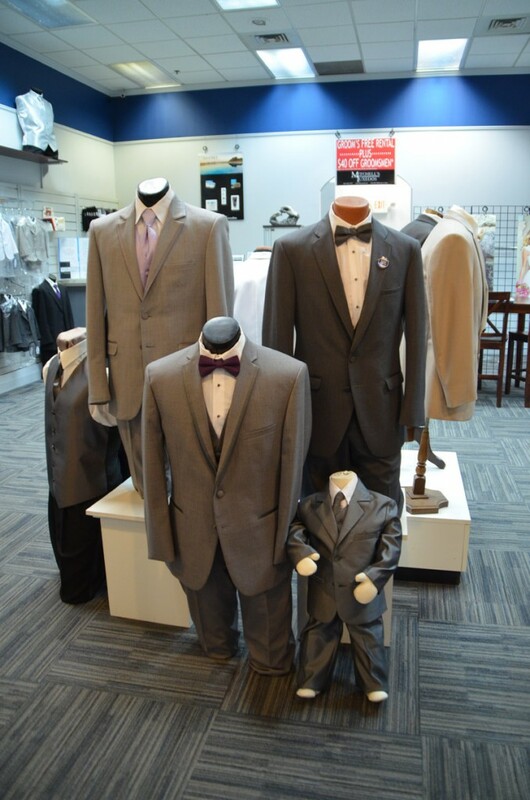 Mitchell’s Tuxedos offers the sale and renting of quality tuxedos for prom and weddings, as well as offering business suits available to rent for that important meeting or interview. “We clothe families through generations, and consider it a total commitment. It is so amazing to see some of our clients return with their sons or grandsons to rent their first suit,” Beatty tells us. 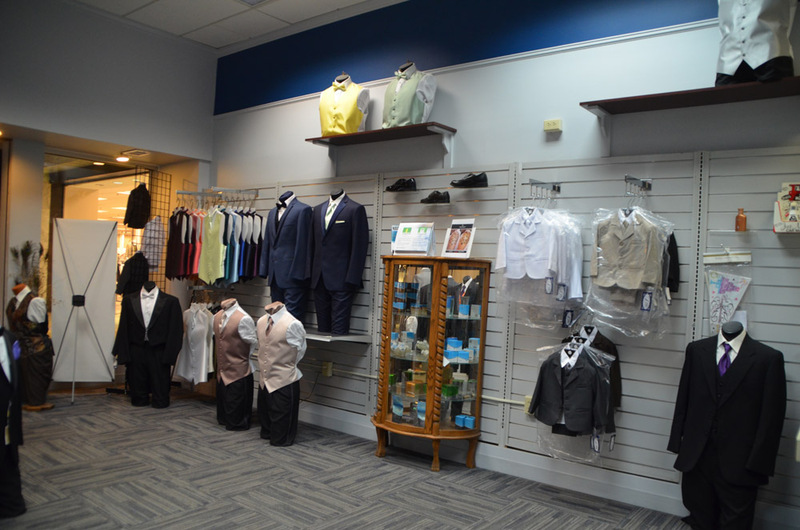 Mitchell’s Tuxedos takes their commitment to quality seriously, and they are ready to provide full customer support with in-house tailors and a small dedicated team of five workers that inspect each item of clothing before, during, and after the item is rented out and returned. While the footprint of the tuxedo shop is deceptively small, the entire back of the store is a warehouse storing hundreds of suits and tuxedos, vests in all colors, and brightly shined shoes. This sets Mitchell’s apart from other big box stores in the area, who often have to ship in items from other locations, making them less flexible in their provisions. Mitchell’s Tuxedos offers complimentary service measurements for out of town events. 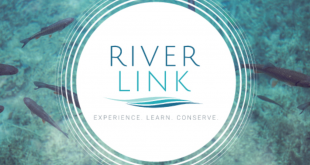 It is not uncommon for customers to come from Franklin, Boone, Cullowhee, Highlands, and beyond. The staff at Mitchell’s is always careful to ask customers about their budget, and offer items within the appropriate price range. Price wise, the services offered are on par with or less than their big box competition. The average pricing for a tuxedo rental for prom is $129 before tax and without shoes, although they do offer options starting at $89.95. Average wedding rental cost is $129-139, also before tax. Mitchell’s offers free wedding registration, a $40 savings. Mitchells’ Tuxedos is located in the Asheville Mall, 3 South Tunnel Road. They are next to Sears, across from the Shoe Department. Hours are Monday-Saturday 10am until 9pm. Sunday 12pm-6pm.